The Fast and the Furious fond d’écran. Fast Five fond d’écran. HD Wallpaper and background images in the Fast and Furious club tagged: fast and the furious fast five dom toretto brian mia luke roman pearce tej vince. 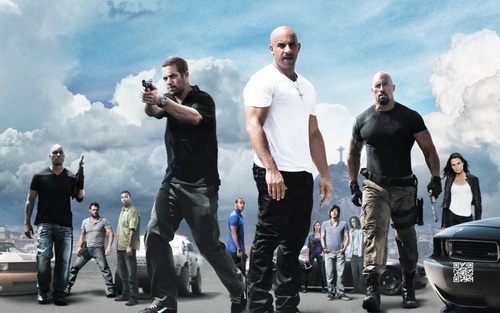 This Fast and Furious wallpaper might contain costume d'affaires, costume d’affaires, pantleg, and pantalon.